Description géographique et historique des costes de l’Amérique septentrionale: avec l’histoire naturelle du païs. Denys was a lieutenant on a French ship of 300 which set sail in 1632 to colonize the Eastern seaboard of the New World. He rose to become Governor of what is now Cape Breton Island and founded settlements in Nova Scotia and New Brunswick. He wrote the two volumes on Acadia after he retired in Paris. They are based on his journals written while in the New World and represent the main primary account of Acadia in the mid 17th Century. "The tolling of the bells drew the villagers to the town square." Tollers as we know them today were developed in the community of Little River Harbour in Yarmouth County, Nova Scotia, around the beginning of the 19th century. 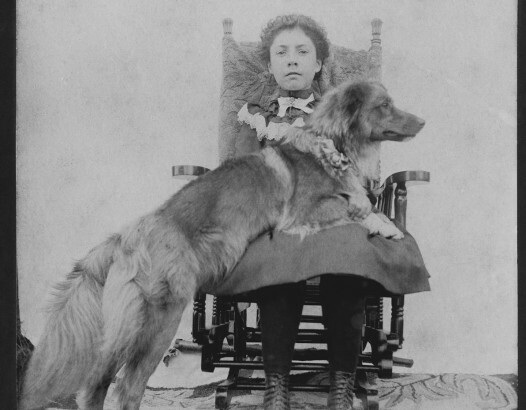 The breed was originally known as the Little River Duck Dog or the Yarmouth Toller. 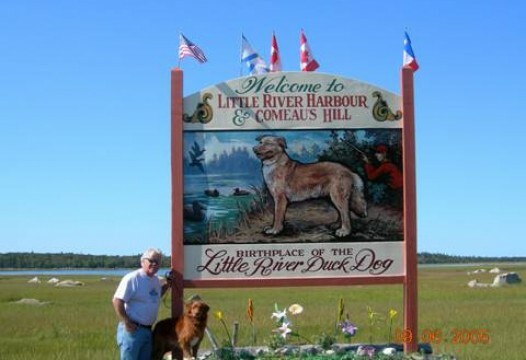 The earliest records in Nova Scotia of hunters using dogs for tolling ducks is from the 17th century. In the wild, a fox will play along the shoreline to lure in waterfowl. The birds become curious as they watch the appearance and disappearance of the fox's playful actions. The waterfowl are enticed to the shore where they become easy prey for the fox. Hunters inspired by the success of the foxes, trained their dogs to mimic the action of the foxes by throwing sticks and rocks for the dogs to retrieve. 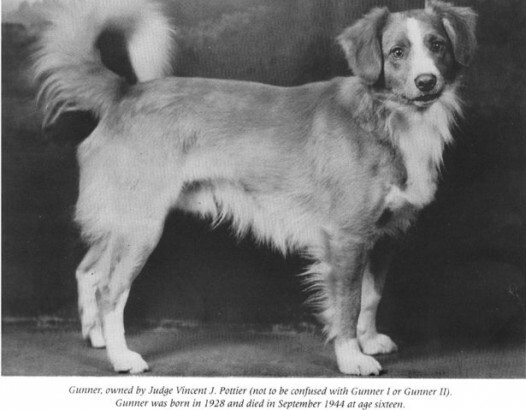 The exact breeding origins of the Toller are not known. Possibly spaniel and setter-type dogs, retriever-type dogs, and farm collie may have gone into the mix. It is likely that the breed can trace origins to the now extinct St. John's Water Dog and the Dutch tolling Kooikerhondje. Another early account of tolling found in the letters of George Law, 1845.